Bring home grace and suave this season with a celestial laser cut ceramic piece, adding a luxuriously dazzling finish to your home décor. Placable at your side table, dining table or a wall shelf, pair it with some exotic bougainvillea and stems to elevate it further. The intricate design framework is easy to maintain and can be hand washed to keep it spick and span. 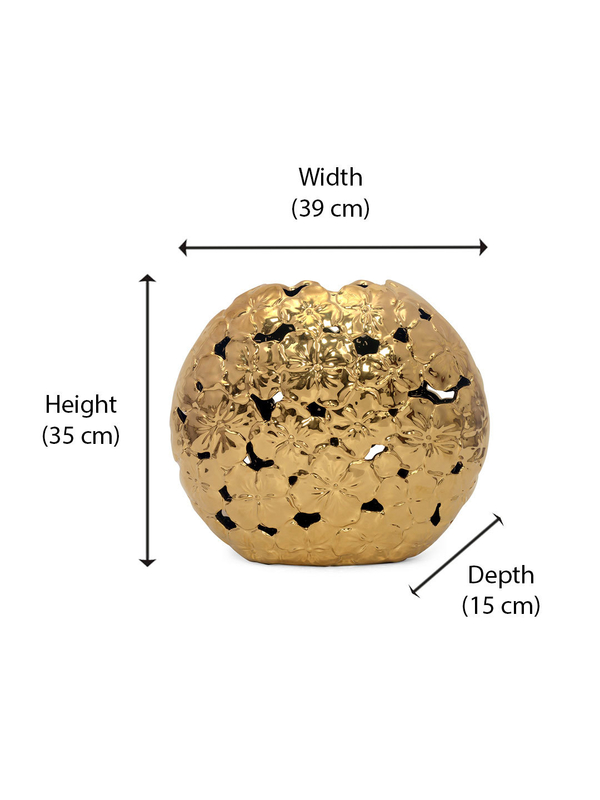 This Golden Flora Large Vase will be definitely a chic, modern and DIY centerpiece in any spacious setting.